This morning I woke up feeling more refreshed than I have in many days. Was it the uninterrupted sleep, or was it that I was just so exhausted that nothing could come between me and the rest I needed. This past week has been nothing but run, run, run. Monday started off normally, there was the Doctors appointment near Clackamas Town Center, along with a lodge meeting that night. Tuesday, a meeting with a friend to help learn his ritual so he can progress to the next level, then a Weight Watchers meeting to attend and catch up on news with friends. Wednesday started the ball rolling, slowly at first but the days were getting faster and more hectic as they went on. I had an appointment to recheck my peripheral vision which was back to normal. After lunch I took Kathy to pickup her new glasses, which suit her very well. Then off to another meeting at the lodge for degree work. Thursday Kathy had two appointments, one across town from the other. First she saw a Vascular Surgeon who confirmed that her varicose veins were very bad and was not surprised that she was in so much pain. He scheduled her for a more intense ultrasound to check which veins were involved. Then we quickly drove over to Raleigh Hills for the other appointment. Friday was the most difficult of all. 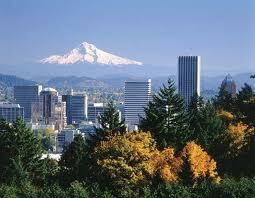 It started with a visit to OHSU to see my doctor and update her on how I was doing on my medication. The visit went well and we all agreed that things are going as planned. On this cheerful note Kathy and I left and headed for Adventist Medical Center for her Ultrasound. After admission we headed for imaging. The wait was short and into the vascular imaging room we went. We were prepared for test that was scheduled for 2 hours. The first part was a repeat of the test that Kathy had the week before where they found a small clot, because of its location it was determined not to be life threatening. The nurse doing the test started on the right leg and then moved to the left where she found a clot in a deeper and more important vein upon which she stopped the test and started calling the surgeon and our primary care doctor for more instructions. Kathy was immediately sent to the ER where she was placed on Coumadin and Lovenox, a self-administered shot, both are blood thinners. What started out to be a 2 hour appointment turned into 4 hours, making this a very long and intense day. While in the ER I sent a text to my daughter to inform her about her mother. She also had news that she has a tumor on her liver. Talk about double a whammy. She is being scheduled to see a specialists and she will keep us informed as to the results of her consultation. Saturday after shopping for groceries, we stayed home the rest of the day to rest. Resting was not anything that Kathy and I were able to do very well. When we went to bed, I think we were so very exhausted that I was asleep before my head the hit pillow. Previous Article Why Do Republicans Hate this Democratic President?